Consider This Classic is a monthly feature where bloggers highlight and recommend their favorite classic. They'll tell you when they first read it, why they love it and where to go from there! I was so excited when I saw what Kim from What Kim Read Next was recommending! Like her, I fell in love with the BBC mini-series version of this book long before I actually read it. After being reminded of how much I loved it, I re-watched the show and am planning to re-read the book soon! I love that she's an Austen fan too and have so loved exploring her blog. I may have my status as a classic literature lover revoked for saying this, but I originally found out about North & South after watching the 2004 BBC adaptation starring Richard Armitage and Daniela Denby-Ashe a few years ago. After falling in love with the adaptation, I just had to read the book! Margaret and Thornton are two people very set in their ways and firm in their beliefs, and watching them both come to accept their shortcomings and gain an appreciation for the other's way of life is so lovely to read. 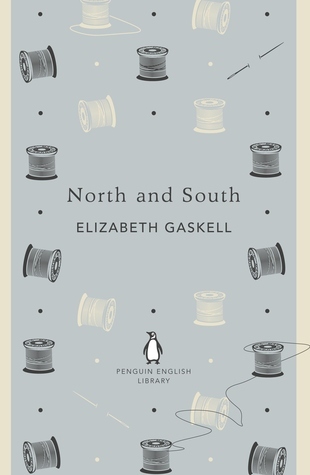 Gaskell was also a woman way ahead of her time, and the way she is able to weave social and political commentary throughout the story is masterful. I've seen North and South described as an industrial Pride and Prejudice, which I think is an apt description. It also reminds me a little of Charlotte Bronte's Shirley. To be honest, I'm not very familiar with North and South! But just reading your thoughts on this, Kim, makes me want to check it out for myself (BBC miniseries included). I've definitely got to up my classics game! What's funny is that I've always assumed this book was about the US Civil War because of its name. Clearly not the case! Although it is actually from the right period of time.